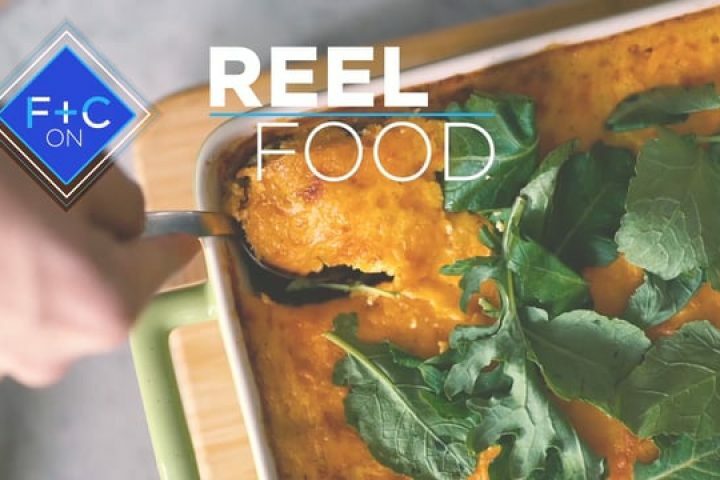 “ReelFood” segments are produced by our in-house brand studio, 40 Foot Solutions. 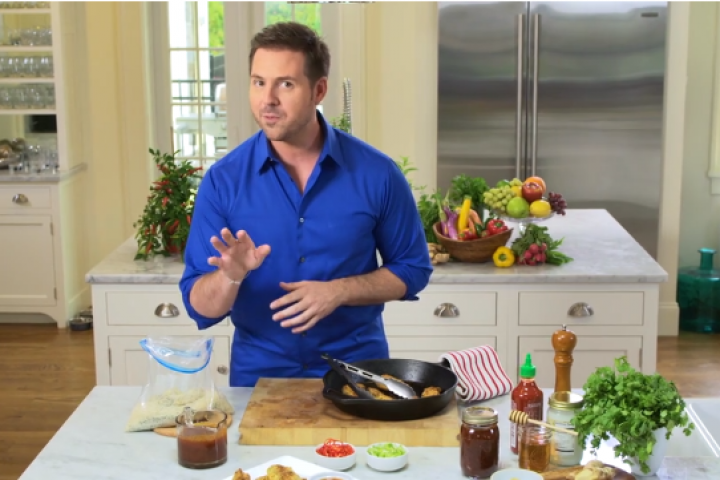 Reel Food is a food short series hosted by Chadwick Boyd, a food and lifestyle expert, TV host and author. 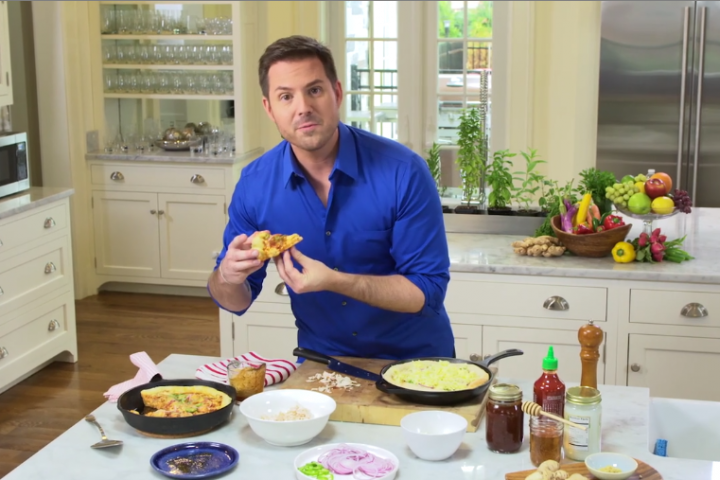 Chadwick shares delicious food, recipes and entertaining tips to moviegoers in Reel Food. 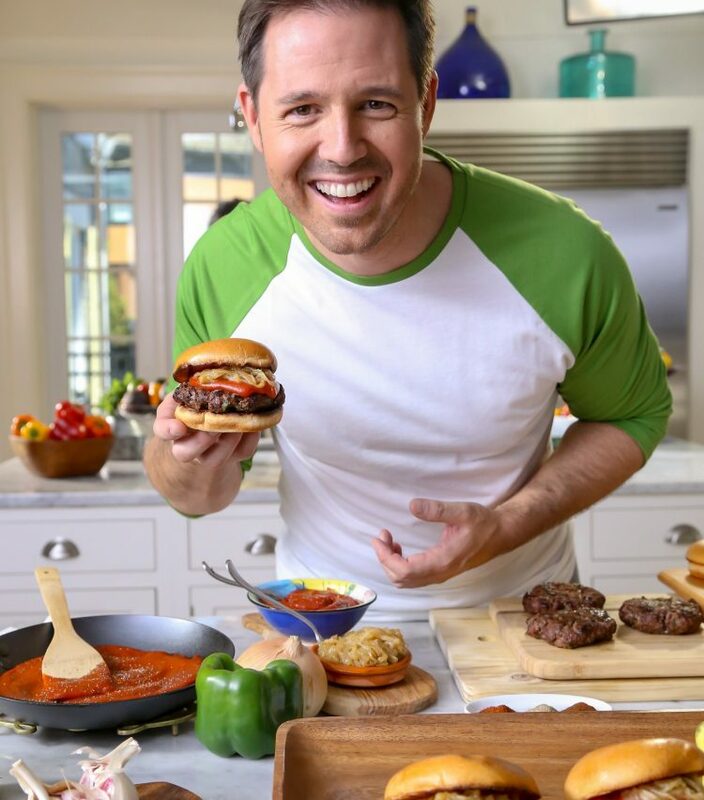 Chadwick Boyd is a food & lifestyle expert, TV host and author. 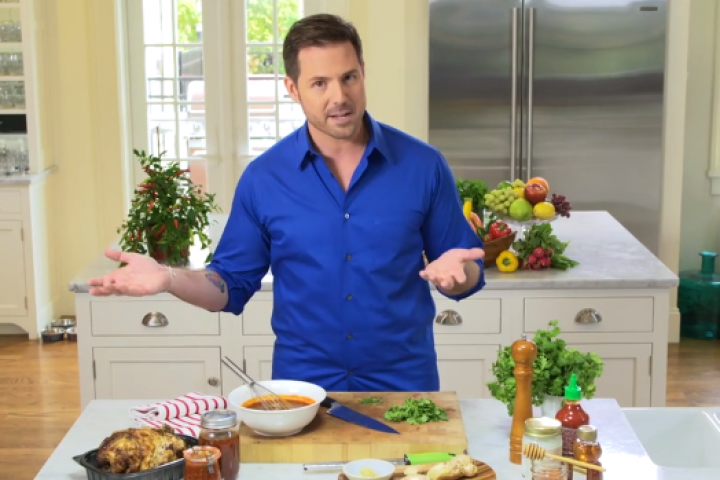 He regularly appears on Food Network, NBC, Fox, PBS and Lifetime, sharing delicious food, recipes and entertaining tips with millions of viewers. 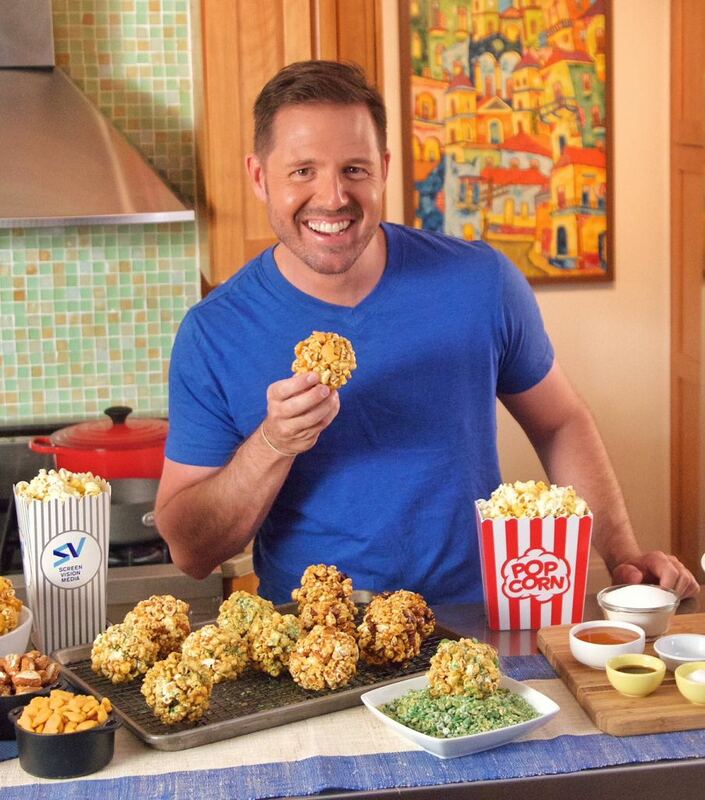 Chadwick is the host of a groundbreaking, new food short series, Reel Food, bringing food to the movies nationwide. Chadwick contributes to Better Homes and Gardens, Serious Eats, The Kitchn, Huffington Post and more. He is regularly featured on TODAY.com and in House Beautiful, Redbook and Southern Living, among many others. He currently is on a national tour for his new Recipe Collection, "Entertaining with Vegetables." His next cookbook is slated for release in 2018. Chadwick has test kitchens in New York City and Atlanta. He is most often found on Delta Air Lines headed on a new culinary adventure. For a schedule of appearances or more information, go to chadwickboydlifestyle.com. Follow Chadwick on Facebook, Twitter and Instagram @chadwickboyd. 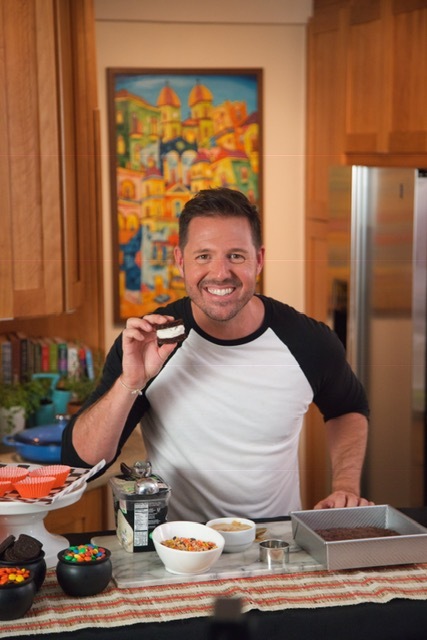 Recipe Created by food and lifestyle expert Chadwick Boyd - @chadwickboyd on Instagram or Facebook. This pie recipe is featured in the holiday episode of “Reel Food.” It’s a modern flavor twist on traditional pumpkin pie with homemade chai spice mix and coconut milk. 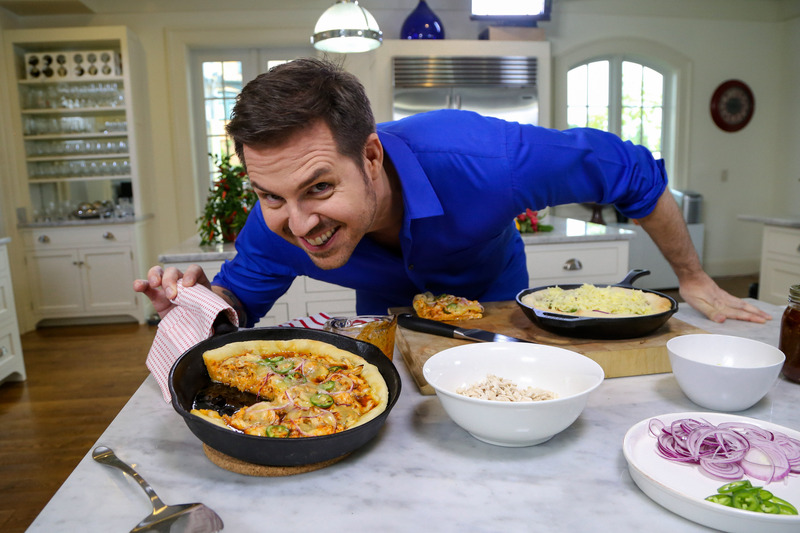 The pie is made in a 10”x15” rimmed baking sheet rather than a regular 9” pie plate, making it as easy as possible for any skill level of cook. Slab pies are meant for feeding a crowd, so this pie goes a long way during the holidays. Top with Soft Bourbon Vanilla Cream (see recipe at the bottom) before serving. For fun, surprising flavor, sprinkle 1½ tablespoons of finely chopped fresh rosemary over the pie dough before rolling out and forming the crust. 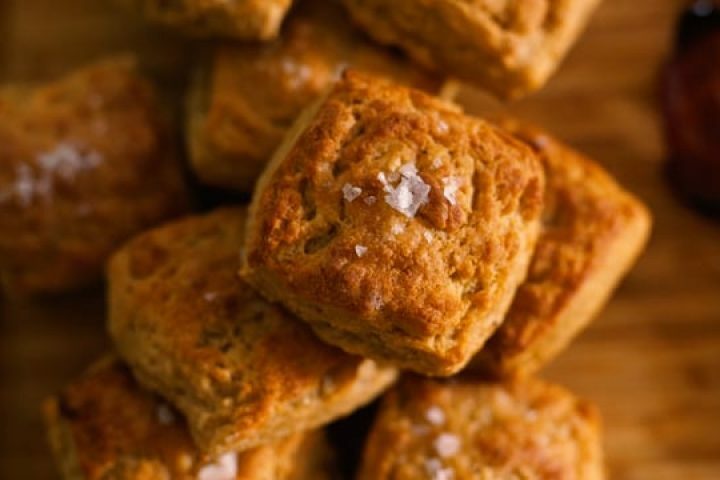 To mix things up altogether, make the crust out of 3 cups of crushed ginger snap cookies with just enough melted butter to moisten it (about 1¼ sticks of unsalted butter). Bake at 350°F for 10-14 minutes until the crust is firm. Make pie filling and bake according to the rest of the instructions. Lightly flour a clean surface. Unroll the pie crusts and stack them on top of each other. Using a rolling pin, roll out into an even rectangle about one inch larger than the 10”x15” baking sheet. Gently roll the dough over the rolling pin and lay evenly over the baking sheet. Using your fingertips, press the dough into the ungreased baking sheet. The crust should come just to the top edge of the pan. Trim any excess, if needed. Crimp the edges with your finger tips to form a nice scalloped edge all the way around the crust. If using crystallized ginger, press the bits evenly into the crust. In a small bowl, whisk together the cinnamon, ginger, cardamom, clove and black pepper to make the chai spice mix. 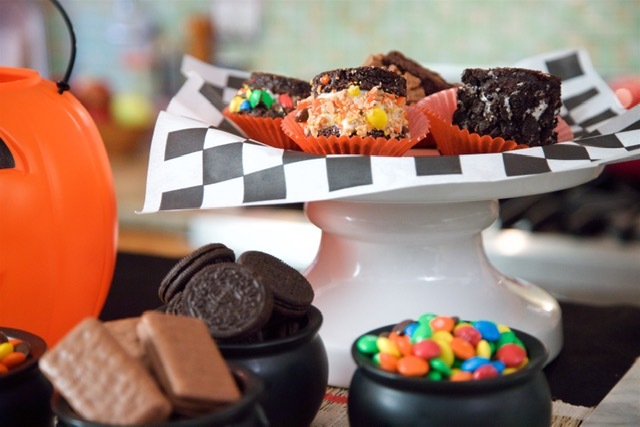 Place the pumpkin in a large mixing bowl. Add the spice mix and salt and whisk together. Add the eggs, honey and coconut milk. Whisk again until smooth. Pour the filling into the pie crust and smooth the top with a rubber scraper. Bake for 50-55 minutes or until a toothpick comes out clean from the center of the pie. 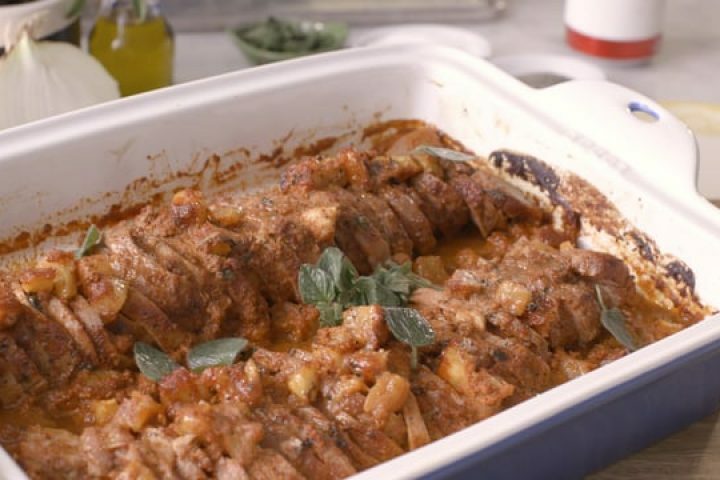 Remove from the oven and let cool in the baking sheet on a wire rack for at least 2 hours. Cut into 12 even squares. Serve with the Bourbon Vanilla Whipped Cream. Garnish with small sprigs of fresh rosemary. Make Ahead! 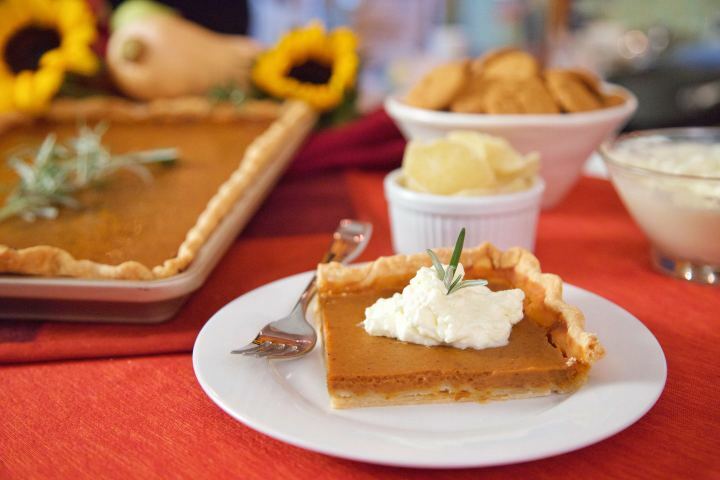 You can make the pie the night before and refrigerate – cover with plastic wrap. Bring to room temperature, about 2 hours, before serving. This is how my Grandma Clara taught me to make whipped cream for all our family desserts – except I have added the bourbon and vanilla, which I think she would approve! While the Chai Slab Pie is baking, make the whipped cream. Place the whipping cream in a medium size mixing bowl along with the bourbon and vanilla. Give it a quick stir with a rubber scraper. If you have time, place the bowl with the cream mixture in the refrigerator for 10 minutes to chill – this ensures the whipped cream will come out consistent and smooth. Using a hand mixer, start beating on medium speed for 1 minute. Then, turn the speed up to high and slowly add in the confectioner’s sugar – you don't want to dump the sugar in all at once. Beat on high for 5 minutes until the cream forms soft peaks, but not stiff. Scrape down the sides of the bowl with the rubber scraper. Cover with plastic wrap and chill until you’re ready to serve the pie. The whipped cream will be good for up to 3 days. 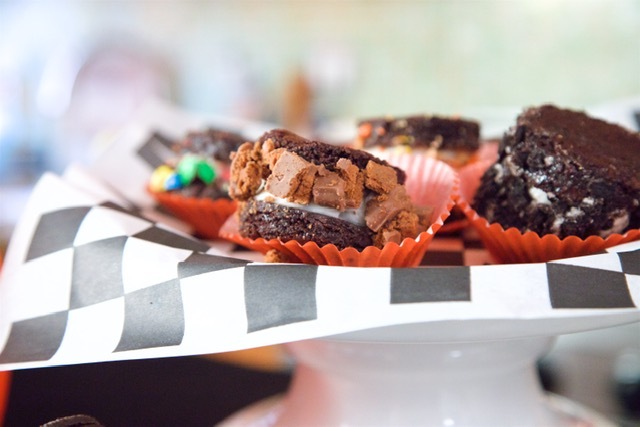 These brownie ice cream sandwiches are a fun twist on my favorite Halloween candy – chocolate peanut butter cups. 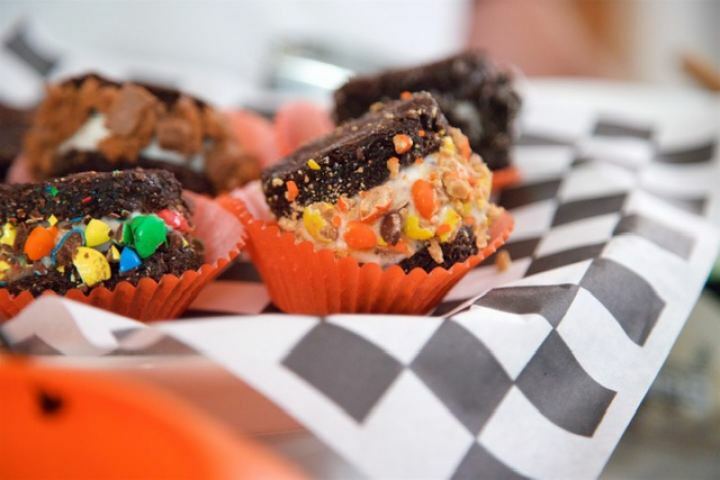 You can easily make these ice cream sandwiches ahead of time – especially if you are serving them at a Halloween party. The brownie batter is thick, so you will have to work with it a bit when you spread it on the sheet pan with the spatula. Don’t worry, though, if the batter doesn’t spread all the way to the edges – you’re going to cut them out with a biscuit cutter anyway. 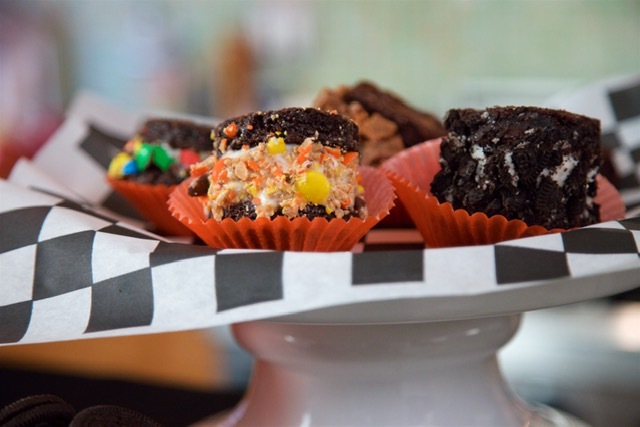 Save the brownie scraps for snacking. They may be my favorite part. The peanut butter ice cream needs to be made at least 4 hours in advance to freeze enough to make the ice cream sandwiches. If you are pressed for time, just spread peanut butter on one side of a brownie before adding the ice cream. It works great that way, too. Place the popcorn in a large bowl greased with cooking spray. 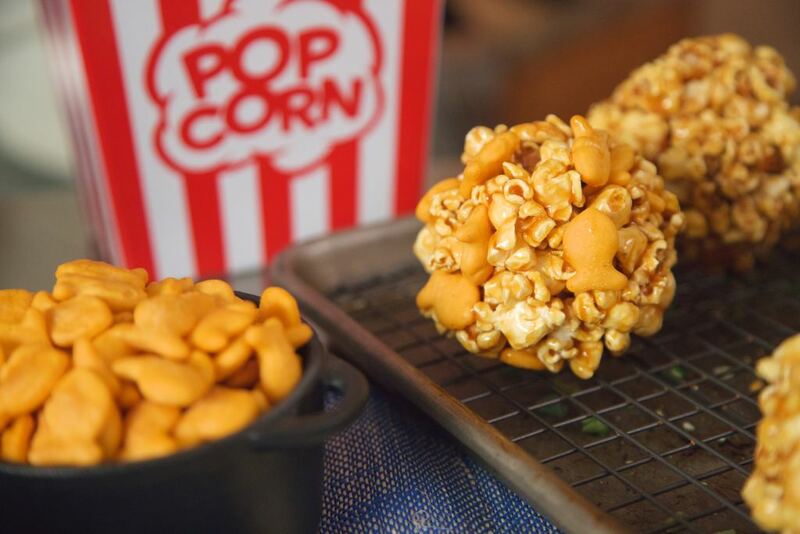 If using Pepperidge Farm Goldfish, mix in two cups to the popcorn bowl now. Copyright © 2018 Lovely & Delicious Enterprises, Inc.
Everyone asks me my favorite thing to grill. 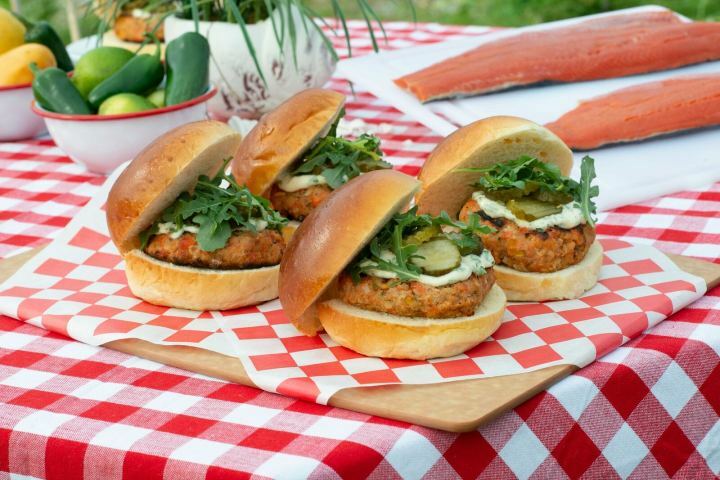 Hands-down, it’s my salmon burgers. They’re fresh, meaty and have bold, bright flavor thanks to juicy-sweet mango, spicy jalapeno and a shot of white vinegar. What makes them so delicious is Alaska wild salmon. When you’re at the grocery store, buy it at the fish counter. #AskForAlaska – the quality and taste is unmatched. These burgers (and the mayo) can be made the night before and placed on a sheet pan covered in plastic in the refrigerator. Dab them gently with paper towel before grilling to wick up any juices. YUM! Sloppy Joes are about as American as you can get. And they were a big part of my childhood. As kids, we would eat them at least one night a week. 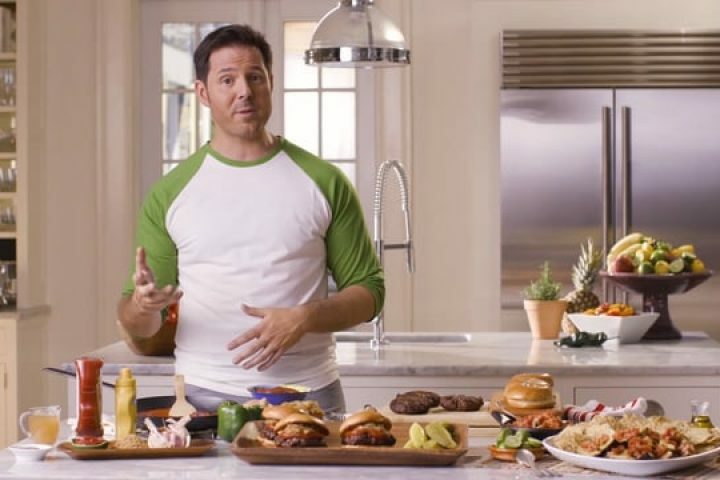 Classic ingredients of ketchup, yellow mustard, a bit of brown sugar and a tich of apple cider vinegar come together for that signature BBQ sweet and tang that makes these sandwiches irresistible. This recipe uses all the classic Sloppy Joe flavors, yet reimagines them as burgers. They are great for summertime grilling, but can easily be done inside on a grill pan or a large 12” cast iron skillet any time of year. The sauce is lip-licking good, so I suggest making a double batch. Meanwhile, heat a large 12” cast iron skillet on the stove to medium-high heat for 2-3 minutes to get it good and hot. Add the olive oil and heat through for 1 minute. Place the diced onion and green peppers in the skillet. Sauté until soft and translucent 5-7 minutes. Stir occasionally with a wooden spoon. Copyright © 2015 Lovely & Delicious Enterprises, Inc. This dish is a fun, elevated take on guacamole and chips for casual get-togethers. By looks, it impresses and intrigues guests, yet it literally takes minutes to put together. The best part: any avocado from the grocery store works – even the rock hard ones! The heat from the grill softens them right up. I like to serve these avocados with Food Should Taste Good Multi-Grain chips. They are sturdy and their nutty taste works well with the smoky grilled flavor of the avocado. Serve with small spoons so guests can scoop their avocado and salsa onto the chips. Bring a grill to medium-high heat – 425°F -450°F. Using tongs, place the avocados skin side down and grill 4-5 minutes until the avocados start to bubble along the edge of the skin. They should be slightly brown and soft. Transfer them to a platter. 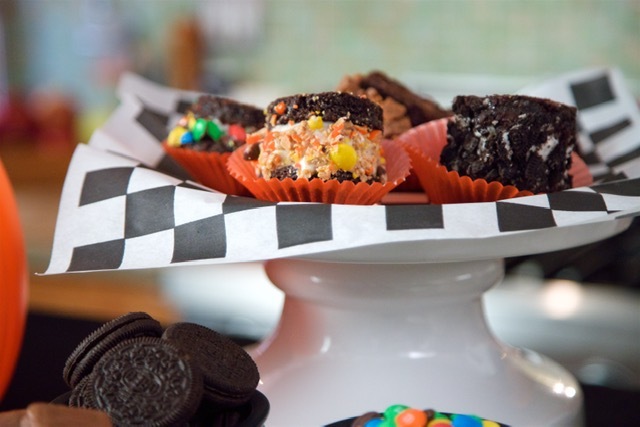 When it comes time to get the family together for Mother’s Day, graduations and Father’s Day, we all want something delicious to dig our hands into. My Cola Chile Pork Tenderloin with three easy, fresh salsas satisfy everyone at the table. The pork tenderloin cooks in under an hour, is sliced extra thin and then nestled back in the delicious, smoky chile and cola sauce for everyone to build their own taco. The three salsas speak to any guest, depending on their mood – fiery, mellow or super cool. Place the tenderloins on a large cutting board and slice very thinly – less than 1/8”. 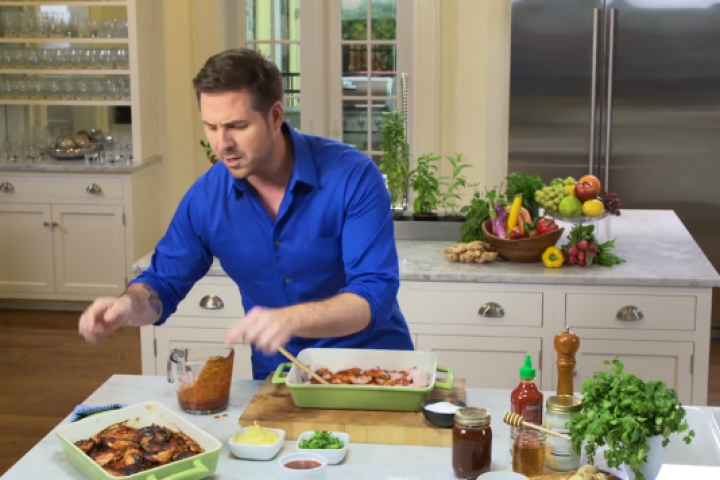 Return the pork to the baking dish and spoon the pineapple and sauce over top. Place the popcorn in a roasting pan. In a medium saucepan, add butter, honey and sugar and bring to a slow boil on medium high heat. Slowly whisk in the cream, until fully incorporated. It will turn a beautiful butterscotch color. Let the caramel bubble another 2-3 minutes, then stir in the vanilla and salt. Remove from the heat. 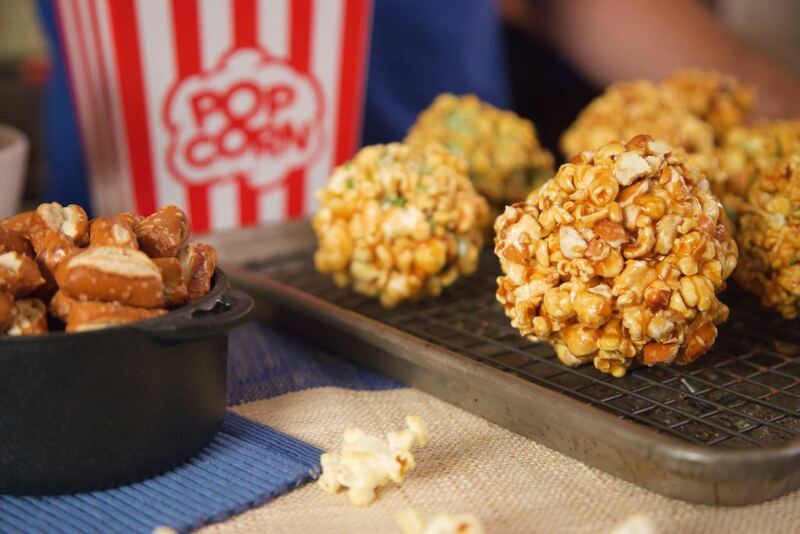 Carefully pour enough of the honey caramel over the warm popcorn and fold with a rubber spatula until all the kernels are coated. Place in the oven and bake until golden brown, 20-25 minutes. Give the popcorn a good stir every five minutes. Remove from the oven and let cool slightly until the popcorn is still warm, but cool enough to touch, about five minutes. 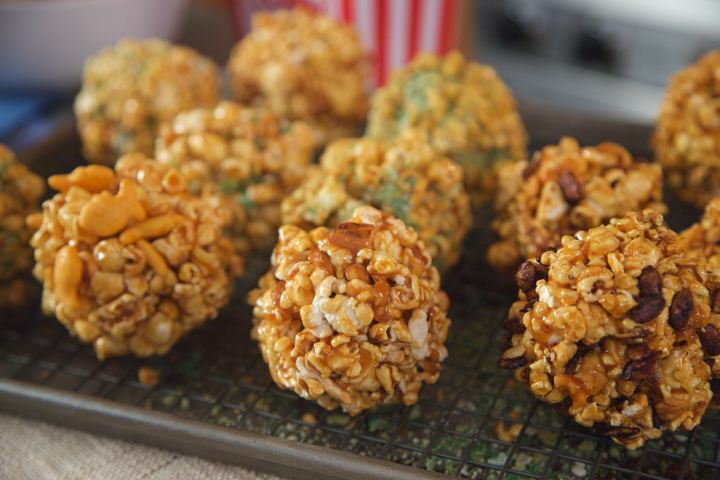 Using your hands, carefully shape the caramel popcorn into 1½" balls. Once formed, roll them in the wasabi peas or the sriracha pumpkin seeds to coat the outside. 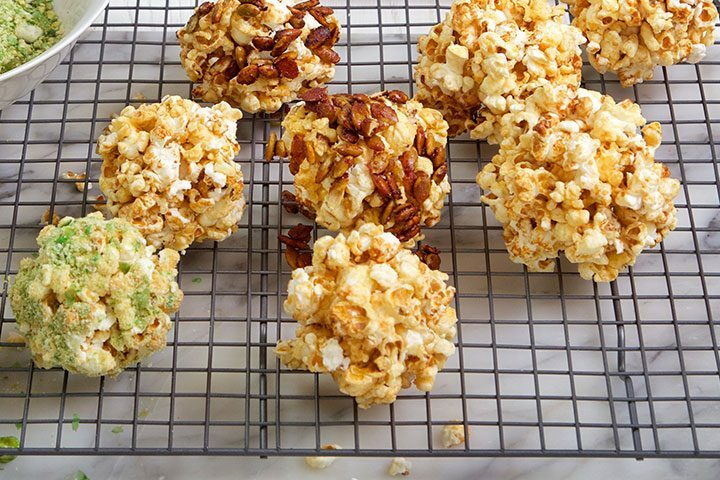 Let the popcorn balls cool completely on a wire rack. Line a baking sheet with parchment and evenly layer the pumpkin seeds. Place in the oven and bake 20-22 minutes until dark red and crunchy (be careful not to burn). Turn the pan halfway through to ensure the seeds roast evenly. Remove from the oven and sprinkle with salt. Let cool. Break the seeds up with fingers and place in a bowl before serving. Store in a cool place up to a week in a zip-sealed plastic bag. This grits casserole was originally shared with me by my sweet friend Phyllis many years ago. She and her sisters would bake this casserole every Christmas Eve for their family. I began to bake it for my non-Southern grandparents every Christmas Day, and they loved it so much it became our family tradition. We loved all its cheesy, comforty goodness. I have since adapted it, adding greens to lighten and freshen it up. I love how their spicy crispness balances with the salty sausage and gooey cheese. Place both sausages in a large skillet, and cook on medium heat until just done, but not brown, about 7-10 minutes. Break the sausage into small pieces with the back of a wooden spoon. Remove with a large slotted spoon and place into the bottom of a 9”x13” baking dish. Bake for 1 hour until golden and bubbly. The edges and top should be slightly brown. Remove from the oven and let rest for 5 minutes. Layer the remaining greens on top just before serving. Add the arugula, cilantro, parsley, garlic, olive oil and lemon juice to a food processor fitted with a metal blade. Blend 30-45 seconds on medium speed until it comes together and forms a smooth yellow-green sauce. Scrape the sides of the processor with a rubber spatula. Add salt and pepper. Blend again for another 15 seconds. Transfer to a bowl and set aside. yogurt. Gently mix with hands until the dough starts to come together. Pour the milk one tablespoon at a time until the dough becomes moist but not wet (you don't want any dry pieces in the bowl). You may not need all three tablespoons. Recipe by Chadwick Boyd. Copyright © 2016 Lovely & Delicious Enterprises, Inc.
Sprinkle the chicken wings with Kosher salt on both sides. Place them in a 9”x13” roasting pan. Grease a 10½” cast iron skillet with olive oil. Roll the pizza dough out to 12½”, about 2 inches larger than the cast iron skillet. Lay the dough over the skillet, allowing the dough to fall over the sides. Press the dough into the bottom of the skillet – the excess dough will pull into the pan and lay along the sides. Press it into the sides of the pan so it is about 1”-1½” tall. Using a fork, poke several holes into the bottom of the dough so the crust doesn’t bubble while baking.